Sad news to learn that Mamma Jamma's nightclub in West Street Hereford will close their doors for the lats time on Saturday February 9th 2019. Eight and half years. They bet we wouldn't last 2 weeks. 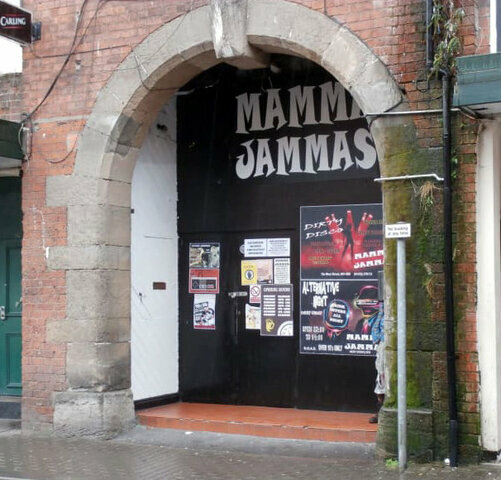 However it is with great sadness we announce that Mamma Jammas last night will be Saturday 9th February. Through many ups, and the odd down, we've all persevered, however everything must eventually give way to time and the changing of tastes. We thank you all for your custom, your loyalty and most of all your company. Thank you to every member of staff we've ever had, for your endeavours and your hard work. Our main aim has always been, and will continue to be, a good night out. So looking forward to the next phase we wish you all well and hopefully you'll join us at some point on the next part of our journey. Good luck to them with the next phase of their journey! I am led to believe Play nightclub will also be closing this year also......sad times for Herefords night time economy.